Can we have a day WITHOUT an online video of a naked reality star? Just kidding! 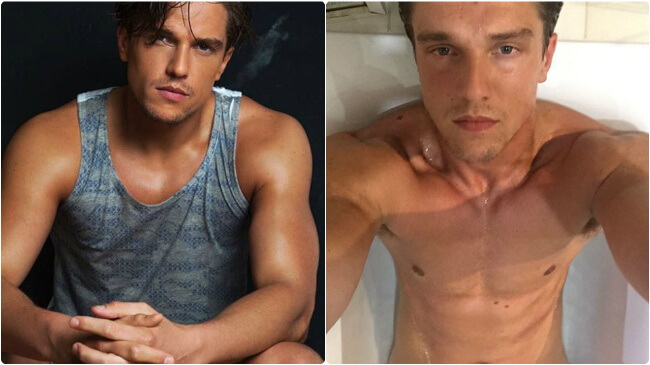 This time, it’s Lewis Bloor, of British reality fame. But there’s a twist – his very explicit video wasn’t “leaked”, but actually share by his girlfriend, Marnie Simpson, who stars in “Geordie Shore”. The 26-year-old Lewis Bloor starred in two British reality shows – first “The Only Way Is Essex” and then, being a reality celebrity, he went on to “Celebrity Big Brother”. The video is quite fuzzy, but those who look carefully (for science!) can see some dangling anatomy.